Rebecca Taylor joined the Department of Sociology Social Policy and Criminology in 2015 as a Lecturer in Sociology with an interest in work and employment and expertise in qualitative methodologies. My main focus is on the diversity of forms of unpaid work; not only volunteering but internships, working for free, and the development of open source software. 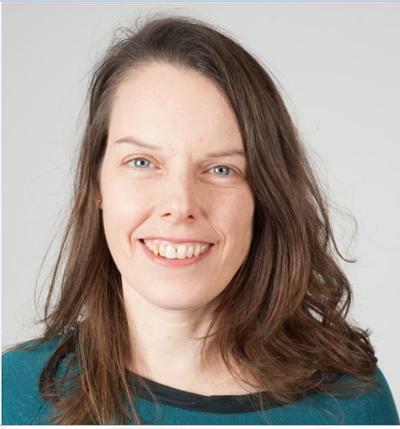 Prior to her role at Southampton Rebecca was a Lecturer in Sociology from Oxford Brookes University, a research fellow at the University of Birmingham at the ESRC funded Third Sector Research Centre (TSRC) and before that at the Policy Studies Institute (PSI) in London. She is sociologist of work, employment and organisations with broad interests that span conceptual debates about paid and unpaid work; the nature of careers occupations and professions; and employment policies and programmes. Her doctoral research at the University of Essex sought to conceptualise paid and unpaid work and explored the classed and gendered divisions of labour. Recent publications have included an article on the experiences of providers in the field of employment services for the journal Policy and politics; a chapter on volunteering for the Sage Handbook of the Sociology of Work and Employment and an article on unpaid work and the Reddit rebellion for The Conversation. I am a member of the Work Futures Research Centre at the University of Southampton and an associate member of the Third Sector Research Centre at the University of Birmingham. My research interests include understanding various forms of unpaid work in the public domain (internships, working for free, open source software development and voluntary work); new and emerging occupations and industries; new institutionalism and field theory and the relationships between the third sector the market and the state. Recent research has explored the delivery of employment services by providers from different sectors, and a longitudinal study examining change in third sector organisations. I am working with Susan Halford and Kate Lyle at University of Southampton and Alison Fuller at the Institute of Education on a project on employee driven innovation in the healthcare sector. The research is funded by ESRC through the LLAKES Centre for Research in Learning and Life Chances based at UCL Institute of Education, University College London. Pettinger, L., Parry, J., Taylor, R., & Glucksmann, M. (Eds.) (2006). A new sociology of work? (The Sociological Review Monographs). Oxford, GB: Wiley-Blackwell. Taylor, R., Arvidson, M., & Macmillan, R. (2014). What's in it for us? Consent, access and the meaning of research in a qualitative longitudinal study. In L. Camfield (Ed. ), Methodological Challenges and New Approaches to Research in International Development (pp. 38-58). Basingstoke, GB: Macmillan. Taylor, R. (2013). Rethinking voluntary work: dimensions of class, gender and culture. In M. Hely, & M. Simonet (Eds. ), Le travail associatif Paris, France: Presses Universitaires de Paris Ouest. Taylor, R. (2006). Rethinking voluntary work. In L. Pettinger, J. Perry, R. Taylor, & M. Glucksmann (Eds. ), A New Sociology of Work? Chichester, GB: Wiley. Willis, R., & Taylor, R. (2016). Getting started in NVivo (a qualitative software workshop). 7th ESRC Research Methods Festival, Bath, United Kingdom. Ellis Paine, A., Taylor, R., Needham, C., Littlechild, R., & Buckingham, H. (2014). Maximising older peoples’s personal budget use: project evaluation report. (Research Reports; No. 128). Birmingham, GB: University of Birmingham/Age UK. Thomson, R., Hadfield, L., Holland, J., Henwood, K., Moore, N., Stanly, L., & Taylor, R. (2014). New frontiers in QLR: definition, design and display. (National Centre for Research Methods Reports). Southampton, GB: National Centre for Research Methods. Taylor, R., Parry, J., & Alcock, P. (2012). From crisis to mixed picture to phoney war: tracing third sector discourse in the 2008/9 recession. (Research Reports; No. 78). Southampton, GB: Third Sector Research Centre. Halford, S., Hudson, M., Leonard, P., Parry, J., & Taylor, R. (2016). The new dynamics of work: a scoping study. Southampton, GB: University of Southampton. Macmillan, R., Arvidson, M., Edwards, S., Soteri-Proctor, A., Taylor, R., & Teasdale, S. (2011). First impressions: introducing the ‘Real Times’ third sector case studies. (Third Sector Research Centre Working Papers; No. 67). Southampton, GB: Third Sector Research Centre. Ray, K., Hoggart, L., Vegeris, S., & Taylor, R. (2010). Better off working? Work, poverty and benefit cycling. York, GB: Joseph Rowntree Foundation. I am teaching on a range of modules including undergraduate social theory and research methods courses at undergraduate and post graduate level. The sociology of work, employment and organisations; economic sociology; occupations, professions and industries; divisions of labour (gender, class, ethnicity); the delivery of public services particularly employment services; the third sector and voluntary work.